Manuel Brito, editor of Zasterle Press (Canary Islands) interviewed me for a special issue of Revista Canaria de Estudios Ingleses on "Small Press Publishing: Absorbing New Forms, Circulating New Ideas" (#62, April 2011). In his introduction, Brito writes: " . . . Bernstein was the cofounder of the emblematic L=A=N=G=U=A=G=E magazine with Bruce Andrews. . . . I am very happy to have been involved in some of his work through my editorship of his The Absent Father in Dumbo (Zasterle, 1991). This led me to understand his poetry as a cultural force, and how he has participated in creating some of the most American avant-garde writing. . . . His experience as editor has not been limited to print publications— “American Poetry after 1975,” boundary 2 (2010); Close Listening: Poetry and the Performed Word (Oxford University Press, 1998); The Politics of Poetic Form: Poetry and Public Policy (Roof Books, 1990); or “Language Sampler,” Paris Review 86 (1982) and “43 Poets (1984)” Boundary 2 (1986)—since he is the co-founder and co-editor, with Al Filreis, of PENNsound; and editor, and co-founder, with Loss Pequeño Glazier, of the Electronic Poetry Center; and has been host and co-producer of LINEbreak and Close Listening, two radio poetry series. This talk is part of a continuing discussion of the perspectives of editorship in these early decades of the 21st century. I hope it will be helpful to see the new perspectives, not only of creators, but also of means to produce culturally significant work. MB: Would you explain your explicit purpose for editorship, if any, and how this tropes some acts of reading experience, discussion, etc.? CB: I don’t know where editing ends and poetry begins, when teaching stops and essays start, when organizing is set aside and contemplation takes center stage. The relation of one to the other is rhythmic: an oscillating rhythm. Maybe it’s a derangement of personality; my inability to draw boundaries or adequately shore my borders against the waves of poetic energy I feel engulfed in and by, and which, by a kind of wind energy, powers what I do. Or maybe it’s a kind of textual weaving, warps and wefts, sparks and crests, cunning and conundrum. It’s all of a piece in any given day (and the days not given too, the rare days that are earned). It started early for me. I was the editor of my high school newspaper (Science Survey) and two literary magazines at college (the official freshman lit mag, The Harvard Yard Journal and an entirely ephemeral affair, Writing, when I was a senior). A small press editor, first with Asylum’s Press in the 1970s, where Susan Bee and I published ourselves, but also Peter Seaton, Ray DiPalma, and Ted Greenwald; then in the later ‘70s L=A=N=G=U=A=G=E with Bruce Andrews, which also had an out of print book xerox service, which morphed into the Segue Distributing service (with James Sherry), where we did a catalog of a dozen related small presses and magazines. This was all very intensive work, involving endless time in production and mailings. Jump to the present, where I edit, with Eduardo Espina, S/N: NewWorldPoetics, a print journal; with Régis Bonvincino, Sibila, a web magazine from Sao Paulo (formally print); with Al Filreis and Michael Hennessey, PennSound, a digital sound archive, and still the Electronic Poetry Center, with Loss Pequeño Glazier, a web site; as well as my own “web log.” And that leaves out quite a bit in between. It seems like much of my day is spent on one or another of these things: bringing disparate stands together, or, better to say, making an imaginary space for those works for which I’ve developed a great enthusiasm. The key thing with editing is the desire to bring things together, in the same place, that otherwise might not be; to make constellations; but also to archive, collect, display, acknowledge, appreciate. To mix all these metaphors: a way of weaving a context into being. Maybe that context was there and it’s just recognizing it, that’s probably the most reasonable way to put it, but it can feel like you are making the context by the force of the activity, the editing itself, and that is why it’s a kind of poetics; something like making poems via constellation. For me editing always has a fundamentally aesthetic dimension: not doing something already prescribed, but making it—well not “new” necessarily but making it happen, making it come into being. MB: My first impression is that as editor you have painted a scene that located the poets in and around L=A=N=G=U=A=G=E, which, as you mention, also had an out of print book xerox service: poets mobilizing both the concept of the text and social issues, sometimes even before your books came up for discussion . . . No group of contemporary American poets demands more sustained effort in figuring out what you have done, and why, than the L=A=N=G=U=A=G=E poets over the last 40 years. Even though the group designation is controversial, most everyone agrees that many conceptual and formal elements were in common in these poets. How have you assumed the evidence of becoming more credible, marketable? CB: L=A=N=G=U=A=G=E was an editorial project: willing something into being more than mapping an already existing formation. Something of a fantasy, bien sur. That was the fun. In retrospect, it seems more fixed, more of a school or coterie, and it’s hard to find a gracious way to get out from under that, like the statue that replaces the damp air of the dawn. Resisting school and coterie (the dog and pony show of the avant-garde) was the inspiration, though I see from a recent memoir by one of our New York company that a fatuous sense of entitled boys club remained a viral presence in our midst, so that brings me back to the less than idealized reality that I helped to form. But that’s why for me subsequent editorial projects have been as much a swerve and as a continuation. The hard part is responding to present conditions. As I get older, I find myself stuck in the agonisms of youth. That partly serves me well, especially in terms of a kind of paranoid grounding in the Cold War and resistance to an Official Verse Culture of which I have long been a marquee name (though not top billing! ); but it also can make it difficult to see emerging formations, which is why it’s best to let the current lead, to go with intuitions of the moment rather than received ideas, even my own!, from the past. And teaching offers the benefit of being around more young people than people of my own generation, younger people for whom what I have long taken for given is not a given. Though I do think I might be better off at the beach in Boca, getting the early bird special as the waiters come and go, talking of Art Basil. MB: Editors and publishers cannot afford the increasingly difficulties involved in today’s economic crisis. Prestigious small publishers have disappeared or simply been taken over by larger companies. Is this a time for a promotion of new products, a new publishing ethos? How do you see the controversial issue of print culture vs. digital culture? 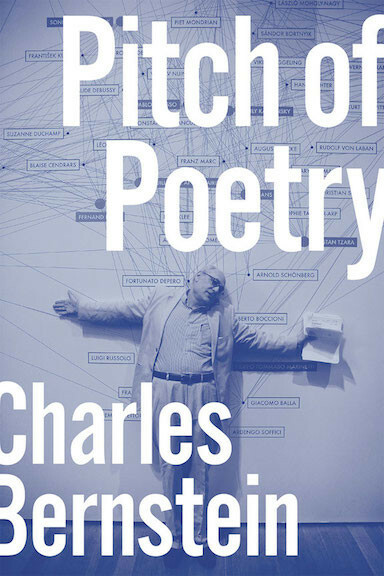 CB: Poetry in North America in the postwar years has remained remarkably mobile, entrepreneurial, ingenious. The social networks and publishing methodologies of the alternate, small press, poets are a valuable model, structurally, even apart from the aesthetic achievements of the poems. Radical small press poetry has been astonishingly versatile in sustaining small scale, unpopular/unprofitable cultural products; indeed, thriving in the face of their unpopularity/unprofitability. Talk about epaté la bourgeoisie. There has been an exquisite response to available publication technologies from mimeo to xerox to desktop to the web. Unfortunately, due to the fascist dictatorship in Spain, you were not be able to fully participate in this and that took a great toll, as it is not so easy to make up for this lost history. For the last fifteen years, innovative, small press poetry has been moving inexorably to the web, where production and distribution costs are minimal, compared to print and postage; the focus can be on editorial selection and distribution. Much of web space promotes the absence of selection as the democratic vista, everybody gets their say in unlimited comments’ fields. But everyone getting their say on a proscribed set of issues may effectively block dissent against the terms in which the “issues” are posed. And of course that “everyone” is in the comments boxes below the official content. I-pads and I-phones turn the computer revolution toward consumption rather than production. Yet poetry remains an extraordinary area on the web of independent, non-commercial production. And the number of readers/listeners is probably bigger than we ever had with the small press. Millions of mp3 downloads every year on PennSound. MB: You have pointed out in your essay, “Provisional Institutions: Alternative Presses and Poetic Innovation” [from My Way: Speeches and Poems] that some difficulties derive from management, and especially the threatening standardization of literature for bulk-buying public. MB: Within this context, is it important that poets understand that there is, after all, no money? MB: How do you understand editing, as a lonely activity, focused on becoming innovatively competitive? Generally speaking, I should say that my view on your role as editor is that of creating communities… am I too wrong? CB: Communities is a vexed term: you can’t live with and you can’t do without. Literary communities are, at best, “uncommunities” in Jean-Luc Nancy’s sense: they are elective affinities. In your neighbourhood or school or precinct or political alliance, the community is given and present in a way that may underlie the concept of literary community but which is fundamentally different. You don’t choose your neighbours, while a literary community, at least one with aesthetic rather than regional or local commitments, is all about choosing. You might come together with like-minded people in a political alliance but, at least in a progressive context, the criteria for the community will be toward collective action or policy goals, such as forming a union or fighting environmental destruction. The beauty, if I can use that word here, of a poetry community is that it can be a constellation of unlikeminded individuals toward an amorphous aesthetic horizon. It is based on taste, on preference, not explicit goals or shared geographic/civic space. But I agree with you that these poetic constellations, so necessarily provisional, are indeed created, are syncretic. Poetry communities are speculative and imaginary; they form a kind of counter-reality to the actual communities and families and alliances that make up the fabric of our everyday life. CB: Yes; and I’d add also an archival space. So much of the web imagines itself as transactive; at the EPC, as at PennSound, our first attention is to the archive. You are also quite right to note the transnational aspect, though I like to think of it as nonnational more than trans-. 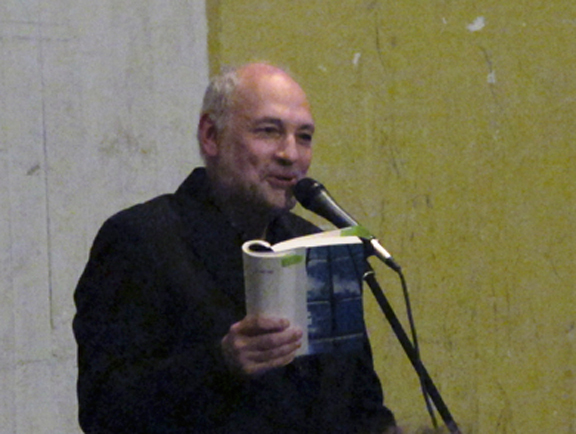 My work with Régis Bonvicino in Brazil (as in our magazine, Sibila), with Eduardo Espina, of Uruguay, in S/N: NewWorldPoetics (the Americas: everything translated from or to Spanish, English, or, to a lesser extent, Portuguese), or with Leevi Lehto in Finland is as much my poetics “neighbourhood” as those in New York and Philadelphia. MB: I should also notice that the over 20-year existence of the electronic poetry centers in the U.S., Australia, New Zealand, and France has provided an allegorical dimension of L=A=N=G=U=A=G=E, that is, an international apparatus by interpretive circles subsuming your poetry and facilitating the critical gesture of the group. What do you think on this? CB: You’re right to think of extensions of L=A=N=G=U=A=G=E, but where that early project is as much subsumed as subsuming. My key points of intersection also include the OEI group in Sweden and long-term connections with poets in Canada, the U.K, Russia, and Portugual (thought my affiliation with Graça Capinha in Coimbra). One of the problems is the tyranny of my own abysmal monolingualism, since so much of what I do takes place in English, so my conversational partners are bilingual while I am not. I see how much this limits what I do. But then English has become very common among poets in Europe. Still, I couldn’t have the close relationship I feel with Arkadii Dragomshchenko if he didn’t speak English. (When I said something like this to Marjorie Perloff, she said, then why don’t you learn Russian? The truth is probably as simple, and indefensible, as – because I don’t have to, so other things take priority.) I should mention also a strong connection over the last decade with China, including forming an association, with Marjorie and Nie Zhenzhao and Luo Lianggong for exchange between Chinese and American poetics and scholars, involving conferences, translations, and a stream of visiting scholars at Penn. And then out of the blue this Fall I was given a book of my essays translated in Burmese; totally unexpected. But when I contacted Zeyar Lynn by email, his reply was so totally current with developments in poetry here, well, I could have been writing to you or a friend in Los Angeles. So there is a kind of warped space going on here where poetic affiliations are bringing us together in ways that would have been difficult in the past. These are not networks or communities, exactly, but virtual constellations. We’ve cast our fate with the stars, as if our quest was for cosmology as much as communion, the cosmococcic as much as the heteroclite.